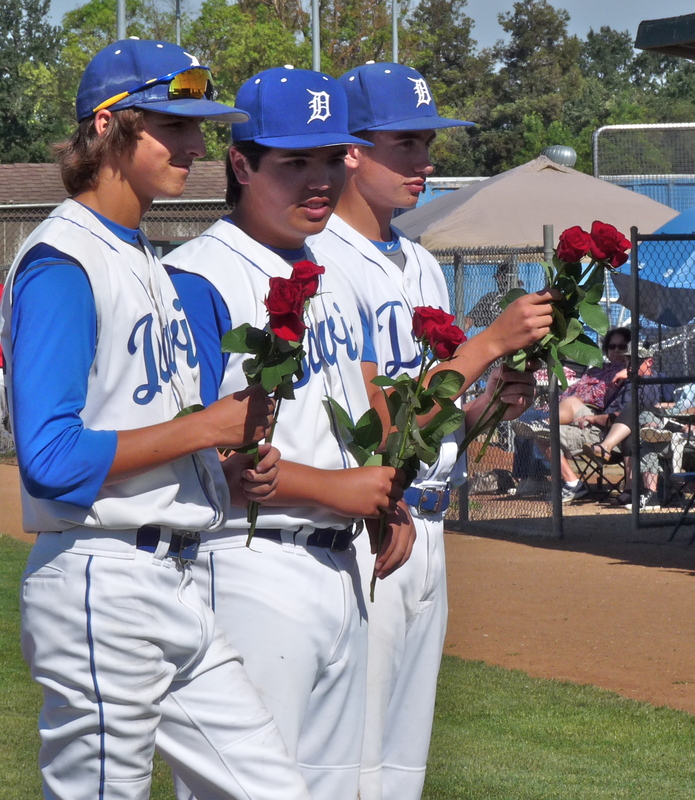 It is a tradition at Davis High School to honor its departing seniors. I don’t know what they do in other campus communities, but on the baseball team they have a little pre-game ceremony at the team’s last home stand. Good for a few shots, huh? First, there’s a procession of seniors, accompanied by their families, or subsets thereof. The announcer shares with the crowd things like that player’s favorite memory of his years on the baseball team (Kris said his most memorable moment was when Coach Ariola kissed the top of his head following their win in the section championship game last year… which is either really sweet, or funny, or something else entirely, but it made for a great visual! ), and where that player is going to college. 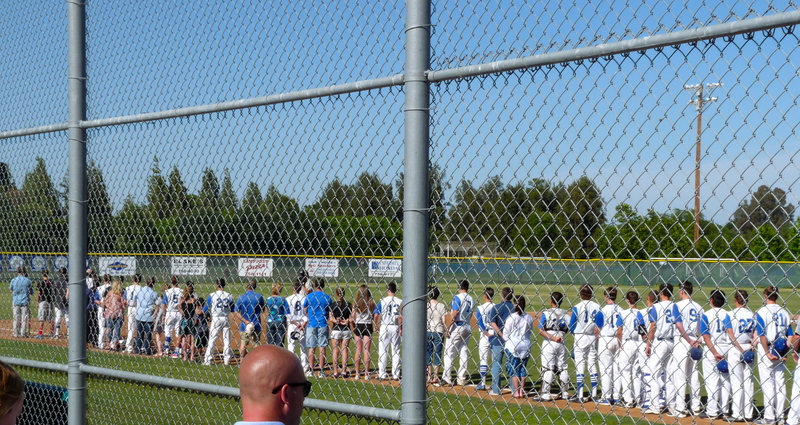 After all boys’ names were read and pictures taken with the coach, they and their familiies joined the underclassmen on the third base line for the National Anthem. 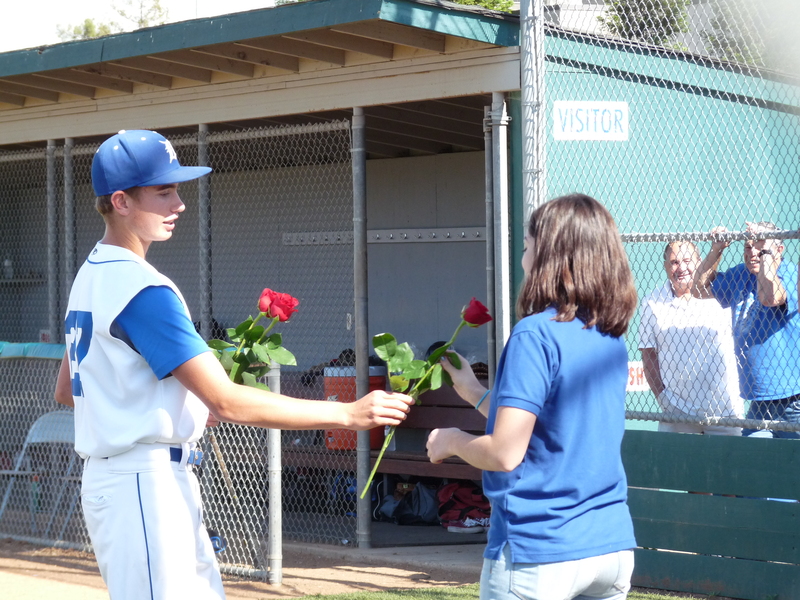 Each of the boys gave flowers to their moms, too. Tradition, you know. 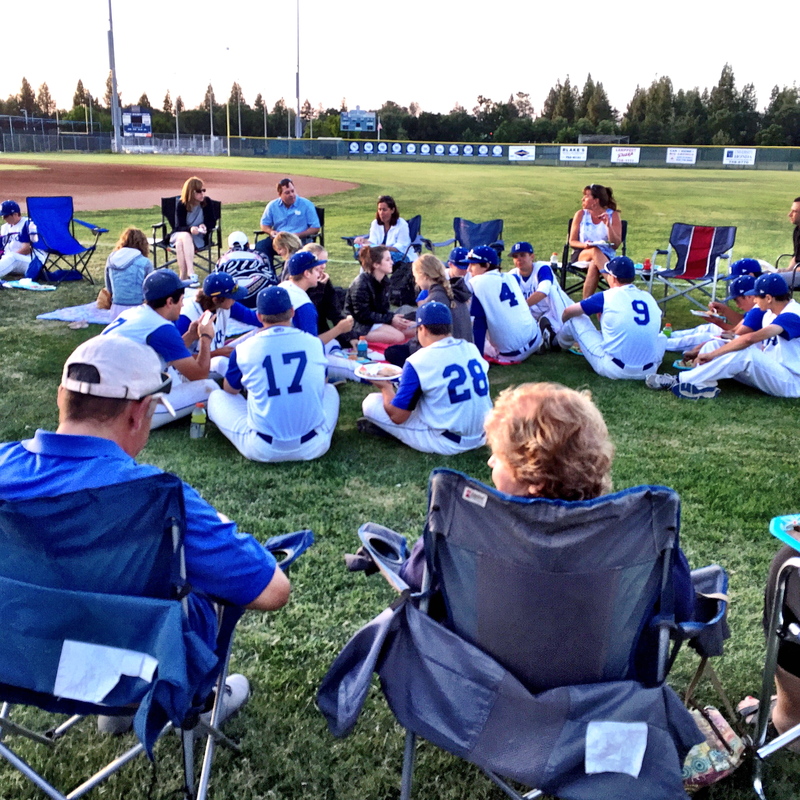 I’m not all worked up because we have one more year to go, but for those ending their high school baseball careers–and for many, their entire baseball careers–it’s bittersweet. Another nice touch this year was presenting the graduating members of the Advanced Treble Choir with a rose of thanks. These are the young women who sing the National Anthem at each of our home games, which is beautiful and classy. We ended up losing the game to Pleasant Grove, 4-2, ending what had been a five game winning streak. But we’ll still be advancing to the playoffs, so everyone’s happy. A lovely and supportive community.